Feather is a serene flight simulator developed by Samurai Punk. It is about exploration and immersion in a beautiful landscape. Become a bird, fly around and lose yourself in zen-like flow whilst listening to the soothing ambient soundtrack. 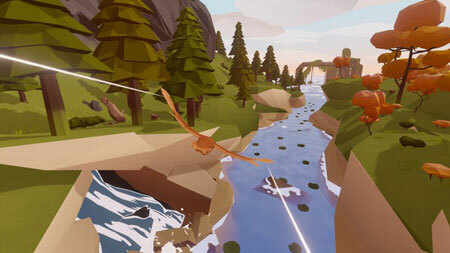 Play as a bird with responsive and fluid flight controls. There are nine unique songs that can be found around the island. If you get stuck in the game, check out the video walkthrough and gameplay for the game. This entry was posted in PC Games, Walkthrough and tagged Feather Cheats, Feather Gameplay, Feather Guide, Feather Strategy, Feather Walkthrough by Marvin. Bookmark the permalink.